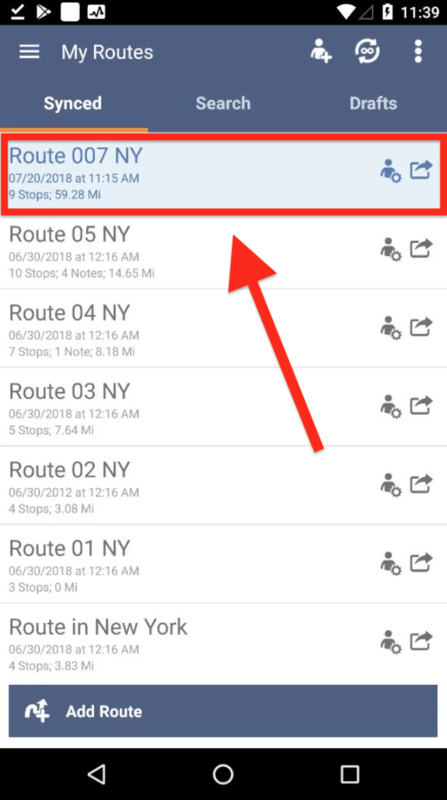 Route4Me’s Android app makes your route planning process more flexible and allows you to easily plan complex routes on the go. 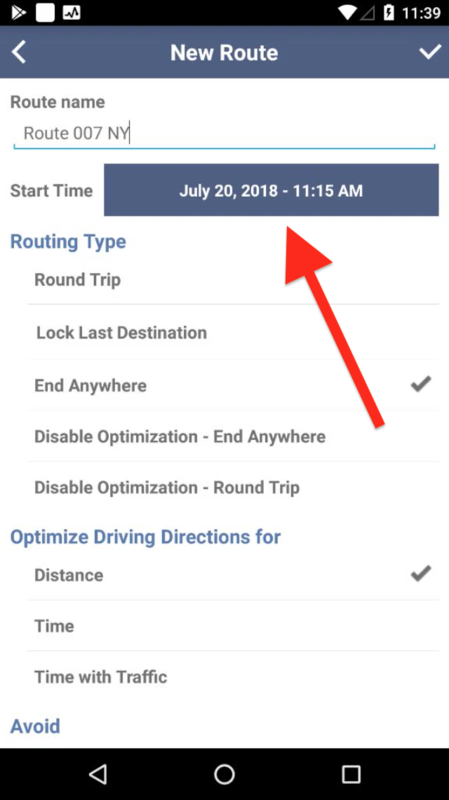 All routes that are planned on your Android device are saved on your Route4Me account and synchronized across other authorized devices. 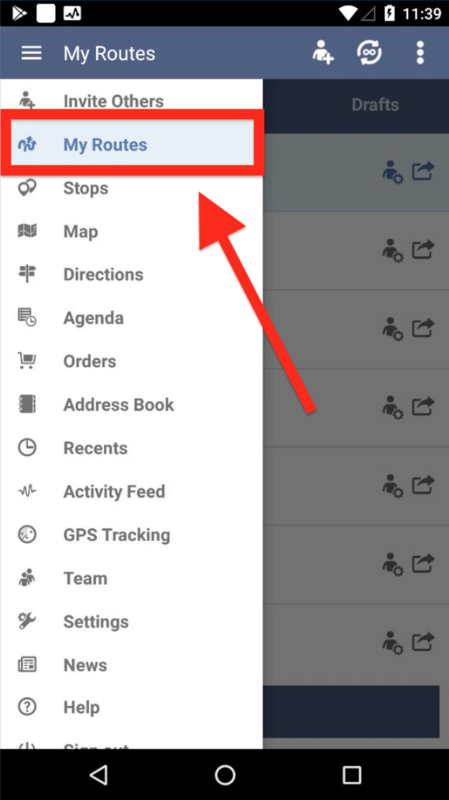 To plan a new route on your Android device, first, go to “My Routes” from the navigation menu. 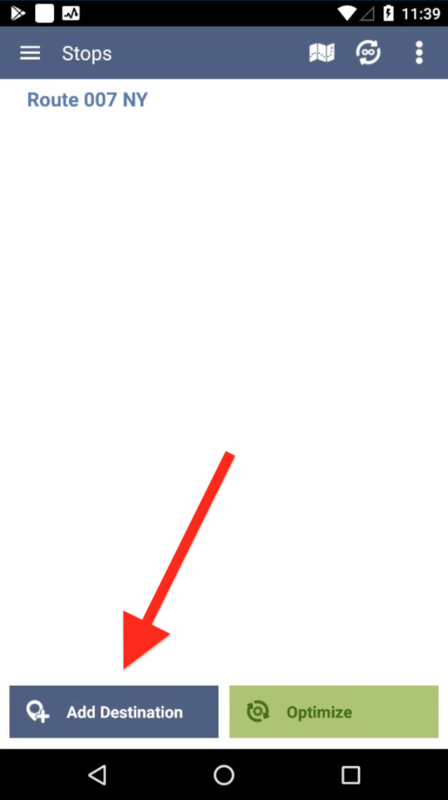 Then, tap “Add Route” at the bottom of the screen. On the “New Route” screen, first, type in the name of the route. 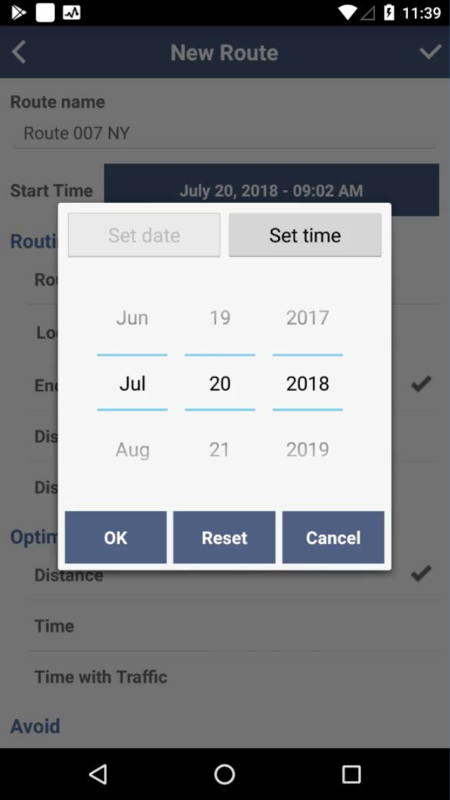 Tap on the calendar to select the start date. 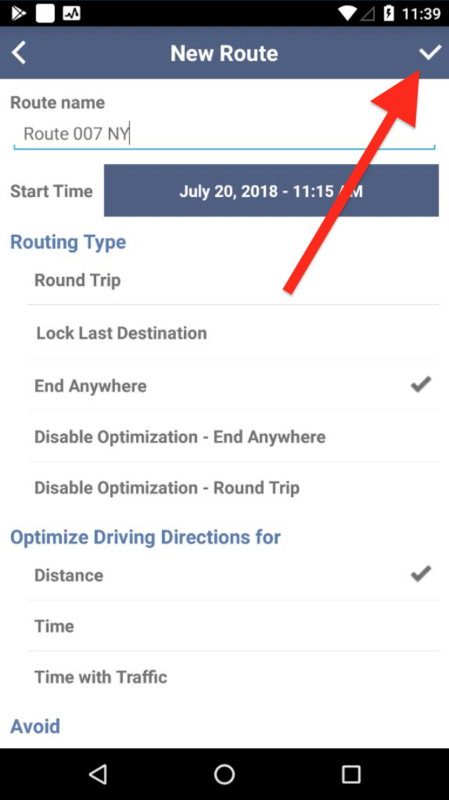 In the “Set Data” tab, select the date for which you want to schedule the route. In the “Set Time” tab, select the time for which you want to schedule the route. Make other adjustments accordingly, then tap on the checkmark icon in the top right corner of the screen to finish. Once the route is created, the “Stops” screen opens automatically to add destinations to the route. To do so, tap “Add Destination” at the bottom of the screen. 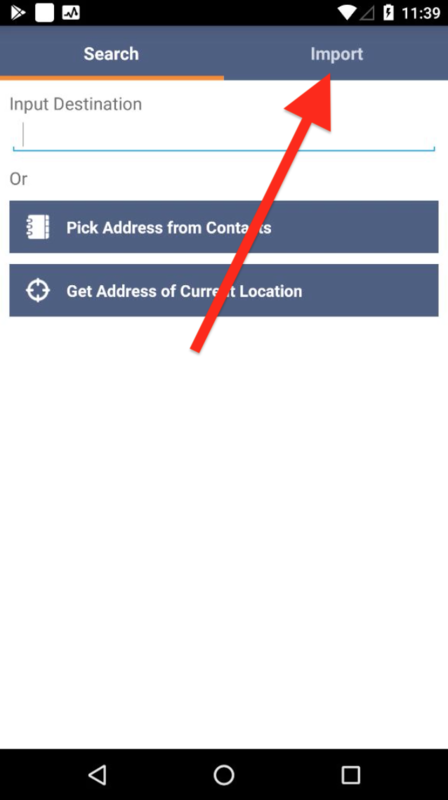 To add a stop to the route manually, type in the address into the corresponding field. 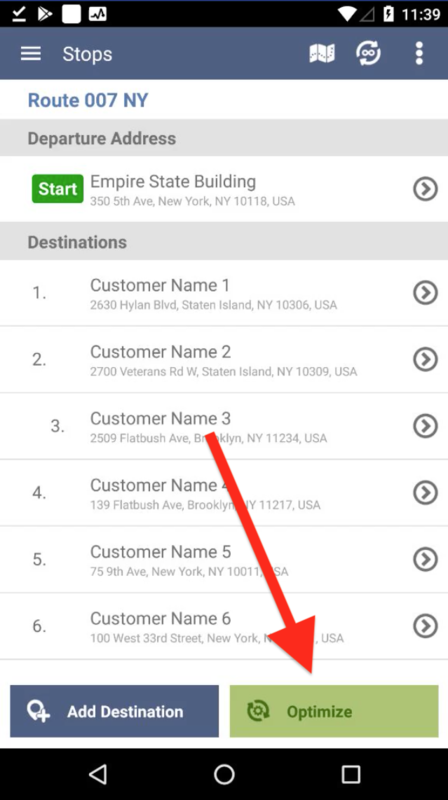 Route4Me allows you to type in the address partially and select one of the suggested variants. 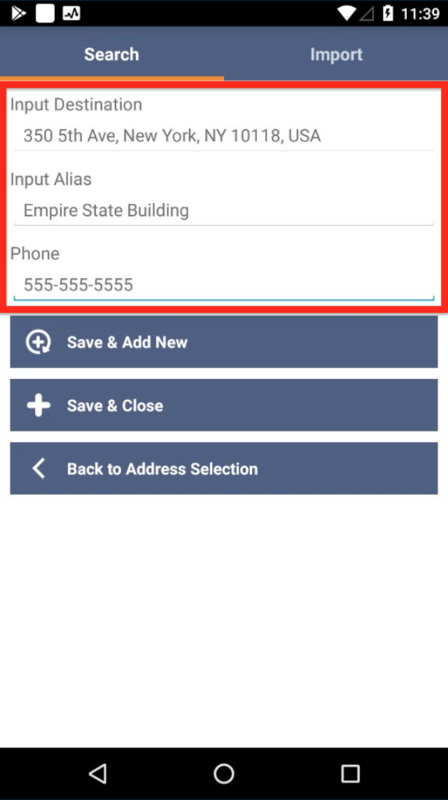 After adding an address, you can optionally add an alias and a phone number to the stop. 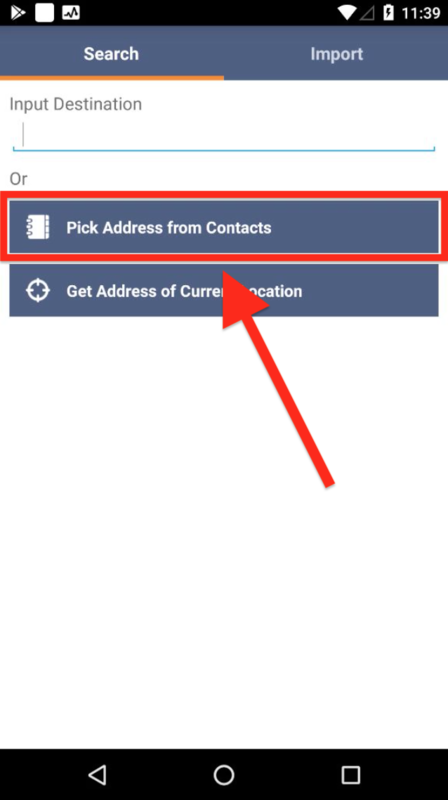 You can add addresses from the contacts that are saved on your Android device. 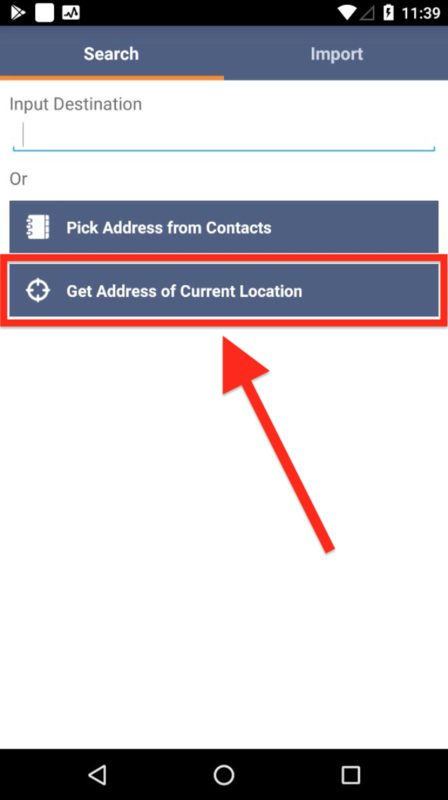 If you want to add your current location as an address, tap on the corresponding button. 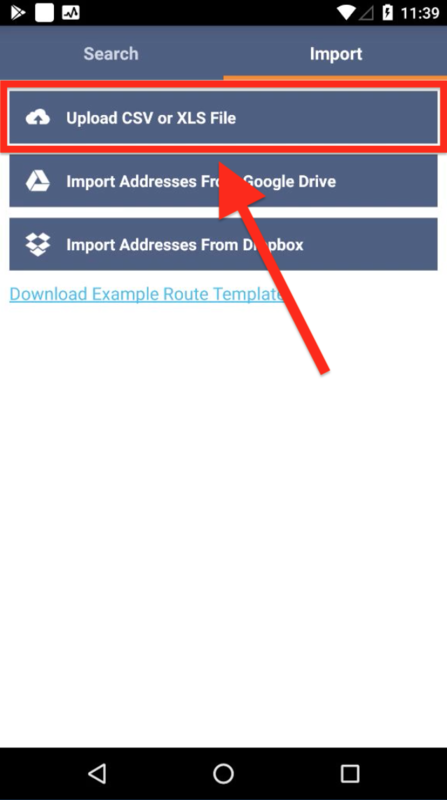 If you need to add multiple stops at a time, you can upload addresses in bulk from your Android device in the form of CSV or XLS files or import them from Google Drive and Dropbox. To do so, go to the “Import” tab in the top right corner of the screen. 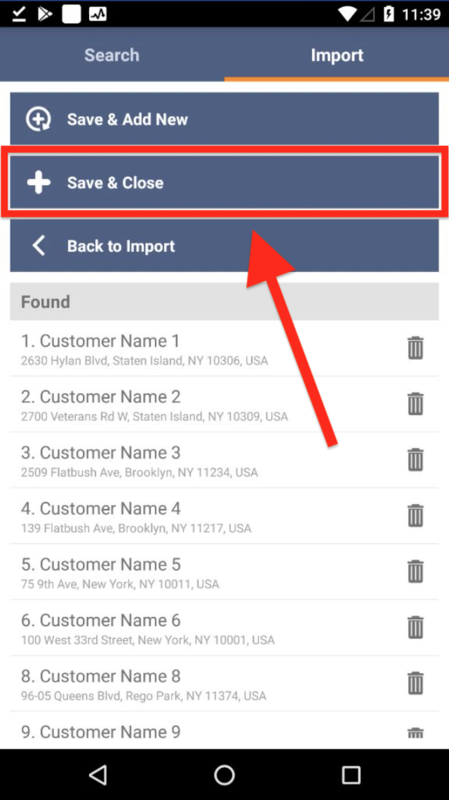 In the “Import” tab, select “Upload CSV or XLS” to import files saved on your Android device. The spreadsheet you upload should contain the following two columns: an “Alias,” or a name of the customer, and an “Address,” consisting of the street name and number, city, state and zip code. You can learn more about the requirements for uploading spreadsheets here. 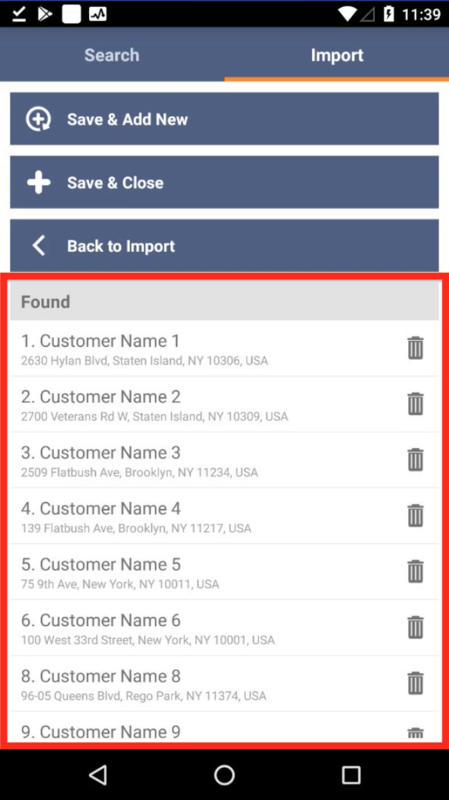 Select a file from the library on your Android device. Provided that the uploaded spreadsheet meets the requirements mentioned above, the addresses are geocoded and added to the route respectively. 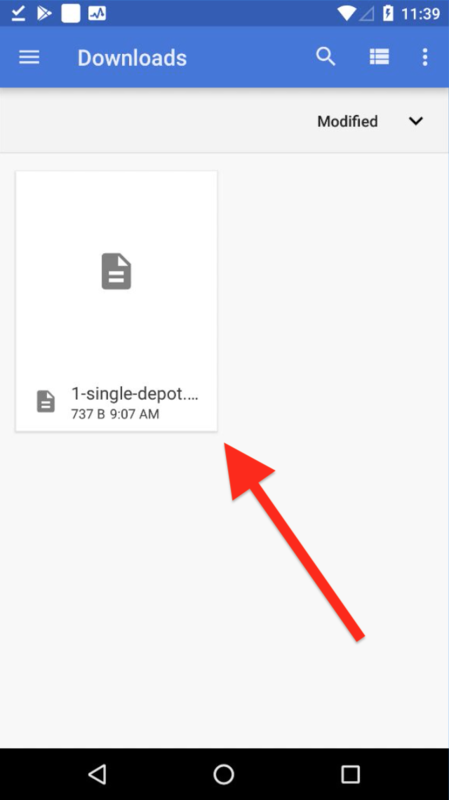 You can also download a sample file and use it as a template for uploading multiple addresses. 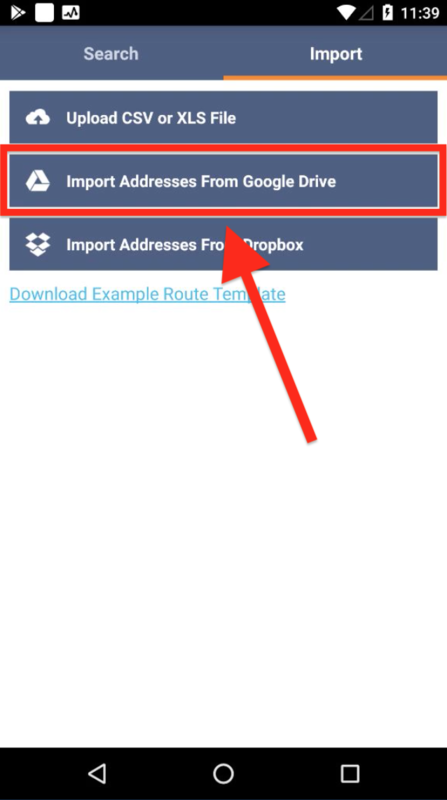 To import addresses from your Google Drive, tap on the corresponding button in the “Import” tab. Then, log into your Google Drive and follow further instructions respectively. See the requirements for uploading spreadsheets here. 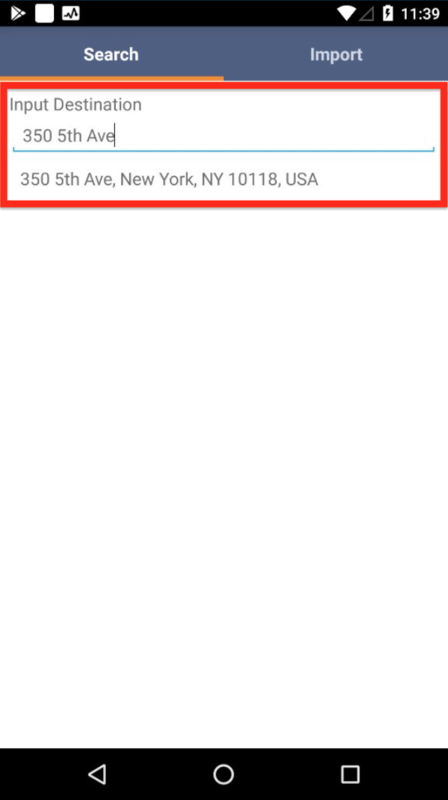 To import addresses from your Dropbox, tap on the corresponding button in the “Import” tap. 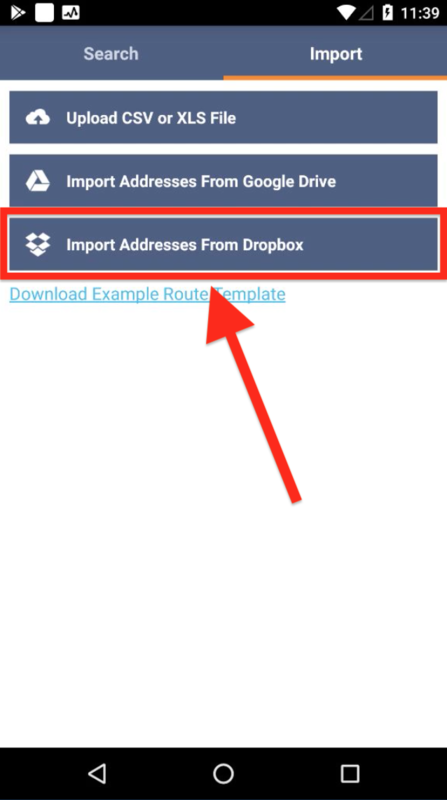 Then, log into your Dropbox account and follow further instructions respectively. See the requirements for uploading spreadsheets here. 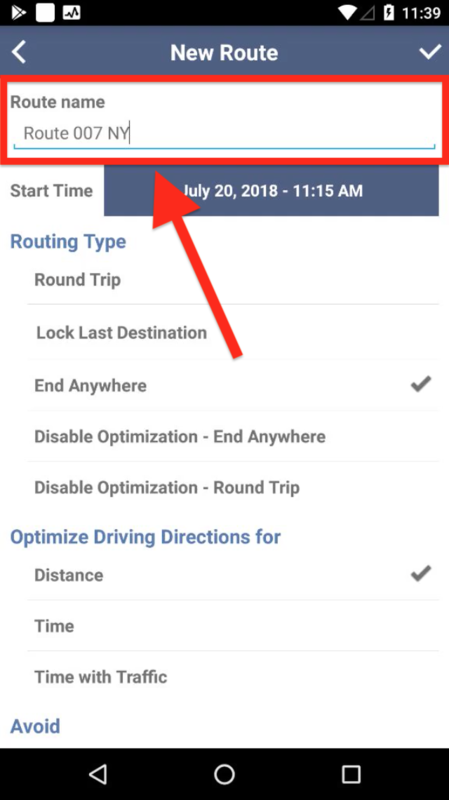 Once a route is created, tap “Optimize” at the bottom of the screen, to get the most efficient sequence of destinations on the route. 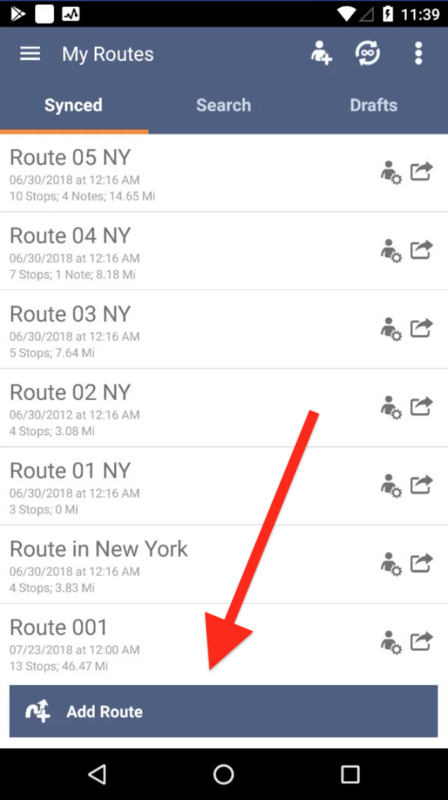 The planned routes are displayed at the top of your Routes List. 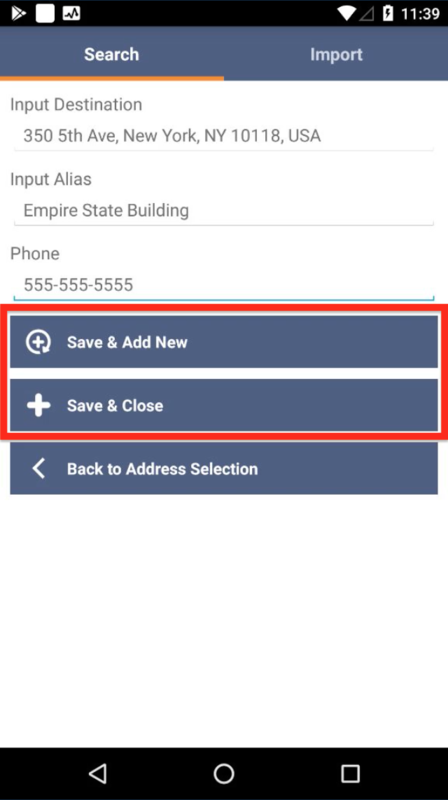 The routes created on an Android device are saved on your Route4Me account and synchronized across other authorized devices. 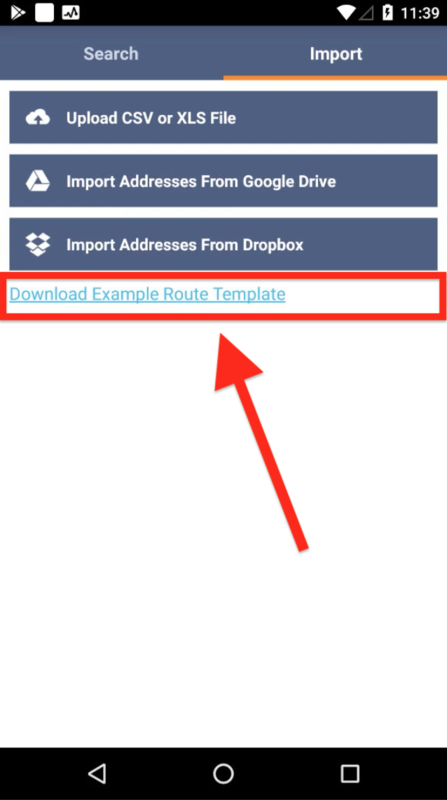 What is the Route4Me Route Planner for Android?